Our various models like Surgical Microscopes, Operating Microscope for Spine Surgery, Portable Microscope (Table Clamp), Beam Splitter, Camera Attachment, Binocular Tube, Assistant Viewing Binocular Tube, Beam splitter attachment for CCD Digital Camera and observation tube & assistant scope etc. 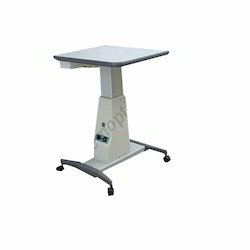 We offer a broad variety of motorized tables with switch mounted. Up & Down movement of the motorized table is aided by feather touch switch mounted with wooden top. This table has big lifting range with minimum height of 675 mm and a maximum of 875 mm. Weight (Actual) : 20 Kgs. 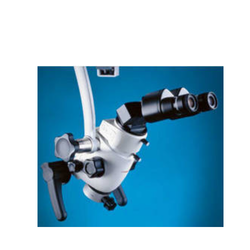 Looking for Spine Surgical Microscopes ?